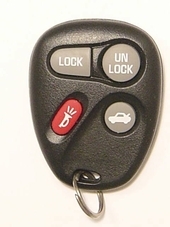 Chevrolet Cavalier came with keyless remotes as optional equipment or feature. 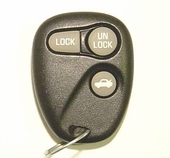 Replace you lost your key fob call us at 866-690-4308 to order your fob remote replacement! We offer a 90 day money back guarantee. Cavalier Keyless Entry Remotes are a very practical feature but not standard on Chevy Cavalier cars. We offer FREE programming instructions for Cavalier remote when applicable.